Water: the forgotten source of bacteria and pathogens on your farm. Bore holes and roof water collection are a major issue. Stock water: No 1 nutrient for all animals and a major source of pathogenic organisms including protozoa, viruses and toxic blue-green algae amongst the 45 common pathogenic bacteria Credence is effective against. House feed water tanks: these are typically contaminated with salmonella, Coliforms (E.Coli), Enterococci, Aeromonas, Cryptosporidia, Giardia and Legionella. Remember Havelock North water contamination? A slow release stable form of Chloride ions presented in a unique tablet form. Credence is long lasting in open and enclosed water systems with a rapid kill rate (5- 10 minutes). Credence does not expose you to the high-density Chlorine smell or taste when used as per label instructions. Credence is less corrosive in pipework etc compared to other disinfectants even while demonstrating unparalleled persistence over time, 100% strength after 30 days. So easy and safe to use and is MPI approved. (Credence is used by the World Health Organisation – WHO). 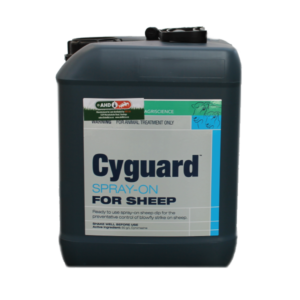 Credence is the ideal solution for treating stock and household drinking water, cleaning livestock housing, sheds and facilities including feeding equipment. The Credence tablet is simply added to stock dams, water troughs and directly into water holding tanks. Do not exceed dilution rates. 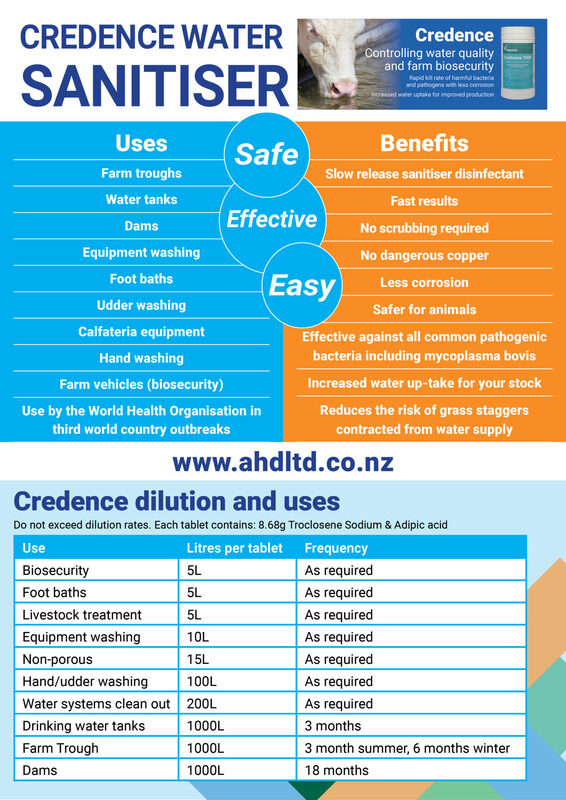 Credence 1000 is an excellent water sanitiser and disinfectant that is very cost effective and safe for humans and animals. Water is the number one nutrient for all animals and having clean, safe water is essential to production, performance and health. Credence is a water-soluble effervescent tablet containing the active ingredient sodium troclosene (NaDCC). When dissolved in water a powerful disinfectant solution is formed by the release of free available chlorine. Practical and easy to handle. Safe to use and transport. Easy to evaluate in-use dosages. Wide-spectrum and validated to be effective against viruses, bacteria, mycobacteria, spores and fungi. For use in all livestock production systems, stables, kennels, markets, holding pens and veterinary clinics. Lowers the pH of drinking water ensuring compatibility with feed acidifiers and gut conditioners such as Salkil, Bact-a-cid and Prefect.